This very busy temple is devoted to Guan, a famous deified general who lived (A. D. 162-219) during the Three Kingdoms period. A man, who valued loyalty and righteousness above all things, Guangong is worshipped as the God of War; since he was adept at managing finances, he is also worshipped as the patron saint of businessmen. This is young temple, built in 1967, with a simple and dignified appearance. In front of the hall is a censer with a somewhat unusual design, its two handles in the shape of flying dragons and its four sides adorned with dragons’ heads stretching toward the sky. 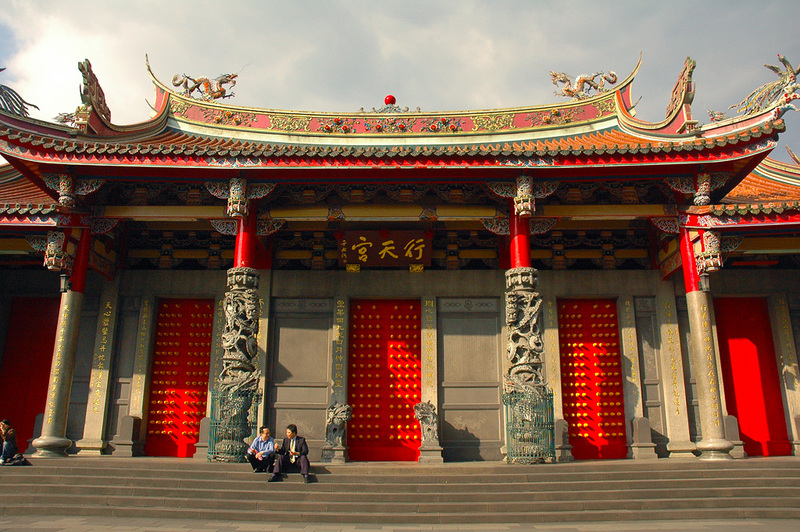 The courtyard of the temple is usually busy, with crowds of worshippers bowing their heads or kneeling in devotion. On the main altar you will see offerings of only fresh flowers and tea, since the temple forbids the killing of offering of animals. The temple also discourages the burning of ritual paper money as an offering to the deities and the spirits of the deceased, the staging of operas for the gods, the presenting of gold medallions in gratitude to the deities, and the like. The temple supplies free candles, and there is no donation box-a first for traditional religion in Taiwan! 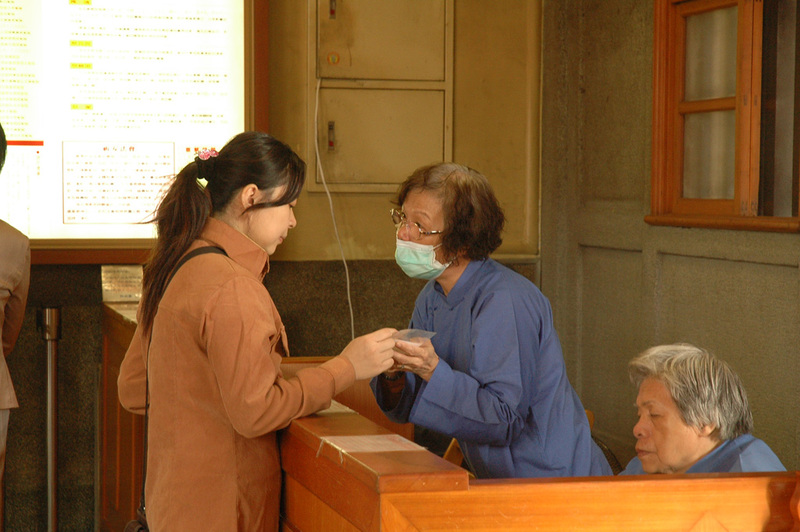 Many believers feel that this is a very efficacious temple, and it is frequently thronged with people praying for help and seeking divine guidance by consulting oracle blocks. Even the pedestrian underpass outside the temple is filled with fortune-tellers and vendors who take commercial advantage of the temple's popularity. 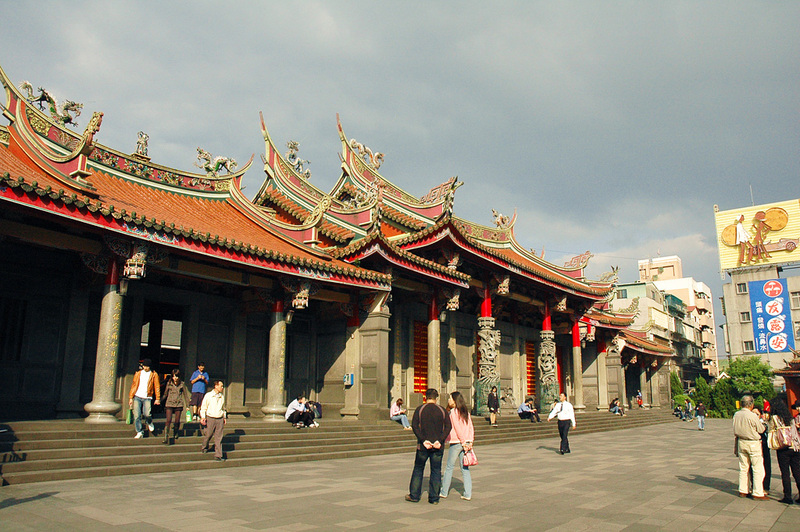 Take the THSR or TRA to Taipei Station, transfer to the MRT to Xingtian Temple Station.